At Alert Electrical, we know all about electrical heating, as we sell a range of electric heating systems. 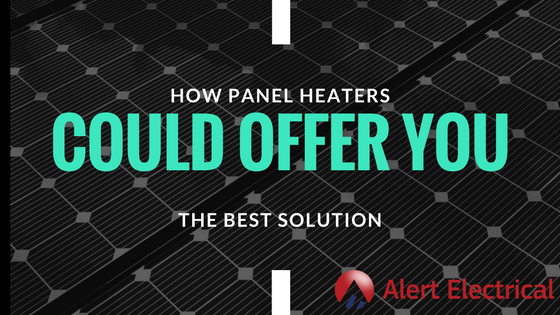 In this article, we address what panel heaters are and how panel heaters could offer you the best heating solution at home or at work. One of the first questions you may ask is what are panel heaters. Here we will explain. 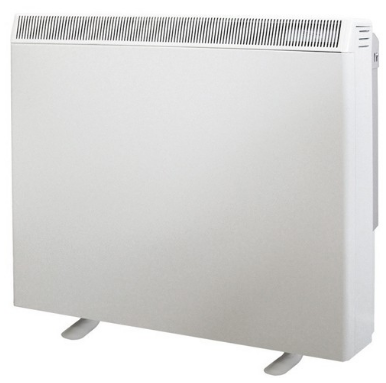 Panel heaters are often wall-mounted compact electrical heaters, with timers and thermostatic controls, wired in or plugged in, running on electricity. 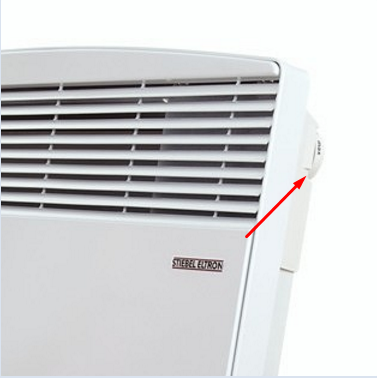 They work by convecting cold air in, heating it and pushing it out as hot air. Panel heaters are suitable for home or office or as an additional heat source in conservatories and outbuildings in winter. Maintenance-free, inexpensive to buy and install, panel heaters could be the perfect choice for you. Working out how expensive a panel heater is to run depends on a number of variables. How well insulated is the room, how many windows, how many doors. Are the walls internal or external, etc. It is fairly straight forward to calculate the running costs, here are some simple workings to give you the general idea. Electricity costs calculated at 13p p/kwh. Please check with your energy provider. What are the best panel heaters? There are many brands of panel heaters from reputable heating companies. At Alert Electrical we primarily stock Creda, Dimplex and Stiebel with power outputs ranging from 0.4kW power output to 3.0kW. These companies offer panel heaters in a range of colours, heat outputs and dimensions, with great after-sales service. Temperatures can be set on many panel heaters from 5 to 30 degrees, with quick heat-up and silent operation, all in a compact design. 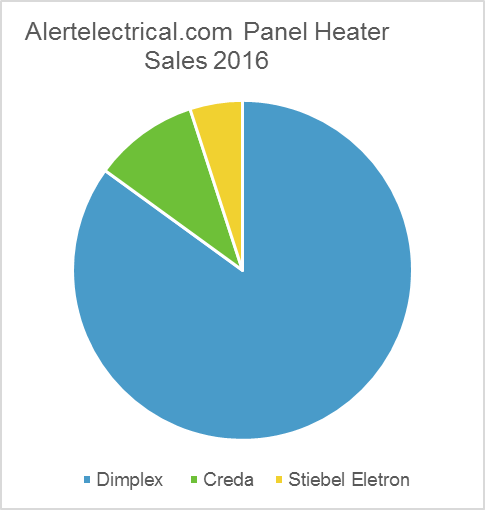 Creda account for 10% of panel heater sales at alertelectrical.com. The brand is also owned by Glen Dimplex. Although the price point of Creda is lower than Dimplex there are many similarities between the brands. Stiebel Eltron are a recent brand in panel heaters in the UK although they enjoy a reputation for high quality in there home country Germany. What size panel heater do I need? Panel heaters vary in dimensions and heating output. We stock more than 50 types on our website, including programmable timers, in a range of sizes and styles. You need to take into account the size of living spaces, whether panel heaters will be a primary or secondary source and their kW outputs. A small bathroom with 3 internal walls and 1 external wall will need a physically smaller and less heat intensive panel heater than a large living room that may have two external walls with large windows. What are panel heaters made of? Panel heaters are usually made from metal and don’t retain heat, they work by convection passing cold air over a heating element and pushing out hot air. 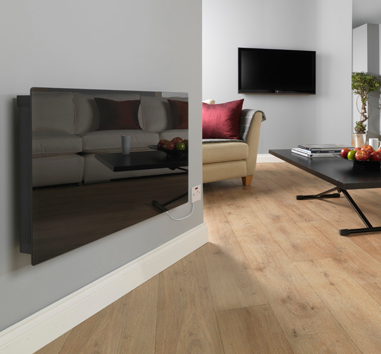 Their cost and compact size makes them a very flexible option for most rooms.Dimplex and other manufacturers make panel heaters in metal but in a variety of styles to suit your requirements. Which panel heater should you choose? There are numerous types of panel heaters available and your choice will depend on intended usage and planned location. Many panel heaters have the option of plugging in, making them ideal for conservatories and offices, or as a back-up heat source for occasional use. Some have individual 24 hour and 7 day timers, most are thermostatically controlled, some have boosted convection for fast warm-ups. Colour choice may influence your buying - most are available just in white, though there are other colour options. In a bathroom or wet area, you will need a splashproof panel heater. What are micathermic panel heaters? Micathermic heaters are space heaters, where the element is covered in thin layers of mica, a sheet silicate material. They are ultra-efficient and produce 80% convection and 20% radiant heat. Micathermic panel heaters warm up very quickly, many in under one minute. These store thermal energy overnight in specially designed bricks, when electricity costs can be lower, and release heat throught the day. Some energy providers provide a top up period during the day that allow storage heaters time to recharge prior to the evening period when we normally require maximum output from our heaters. These are far removed from the cabinet-style storage heaters of the 70s in terms of efficiency and design and we stock a range of manual control or automatic storage heaters that regulate temperature depending on room temperature. What are electric panel heaters? Electric panel heaters are often inexpensive to buy and easy to install and often use a mixture of radiated and convected heat. They are slimline, quick to heat up and individually or collectively programmable, meaning owners can adjust the heating according to occupancy needs. Silent in operation, meaning no disturbance to sleep or living. Which panel heater is the most economical? Panel heaters have a range of energy saving features, like half heat switches, accurate thermostats, timers and cut off timers to minimise energy costs. Manufacturer data sheets, available on our website, show economy ratings of various panel heaters. Are panel heaters cheap to run? Like any form of heating, the efficiency of panel heaters depends on their usage. Combined with other thermal efficiency methods, such as cavity wall insulation and loft insulation, along with double glazing, panel heaters can be inexpensive to run. Thermostatic controls and timers reduce costs too. Are glass panel heaters any good? Glass panel heaters carry a certain elegance in design and can be used in wet areas and living areas. We stock them in black and white and they are popular purchases because of their design. Are wall panel heaters any good? Heaters can be bought freestanding or for simple wall mounting. They have the benefit of being placed where you want them as they do not need any plumbing. Proximity to a power source and a suitable wall to mount it on are all that is required. Quick to heat up, inexpensive to buy, run and install, panel heaters are a very cost effective way of heating your home, conservatory, office or garden office. With many people choosing to work from home, a panel heater can provide a very affordable heat source. Mounted on walls, with just an electric power input, wall panels are considered to be extremely safe. It’s why many holiday homes and hotel rooms use panel heaters. They are safe, efficient and user-friendly for all visitors.